Looking for an Experienced Fencing Contractor? 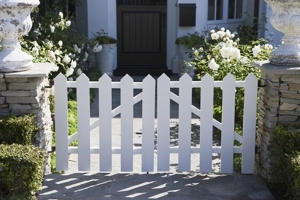 Morgan Fence Co. is the premier fencing contractor in the area. We have experience working with local, state, and the federal government, and we've worked on more than 400 residential jobs this year alone. Our goal is to be able to provide the highest quality service to each and every one of our clients, and to maintain the professional relationship. We handle residential or commercial fencing jobs and nothing is too big or too small! We have a dedicated and highly-trained staff of professionals ready to help assist you in all aspects of your project. We can help you design it, then follow through from installation to completion. Call (707) 344-9838 to Get Your Fencing Project Started Now!